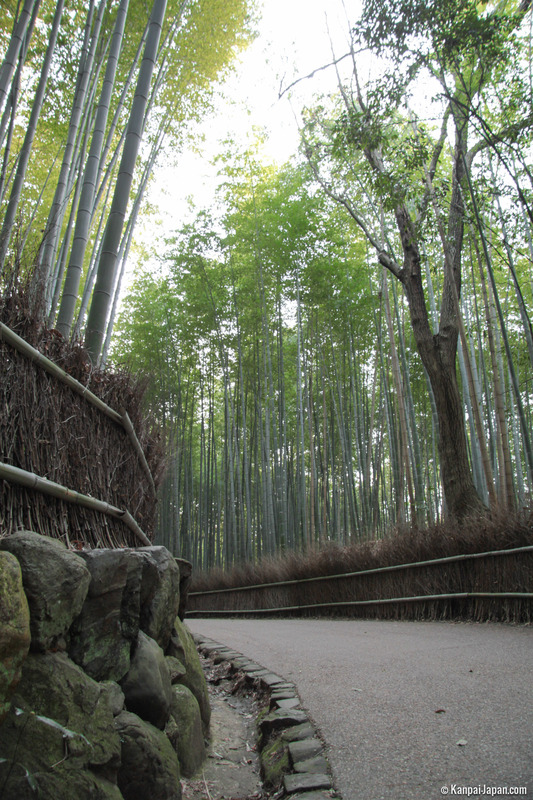 The famous Sagano Bamboo Grove in Kyoto, along with the torii of Fushimi Inari Taisha or the Ginkaku-ji, is certainly one of Japan’s most iconic places. 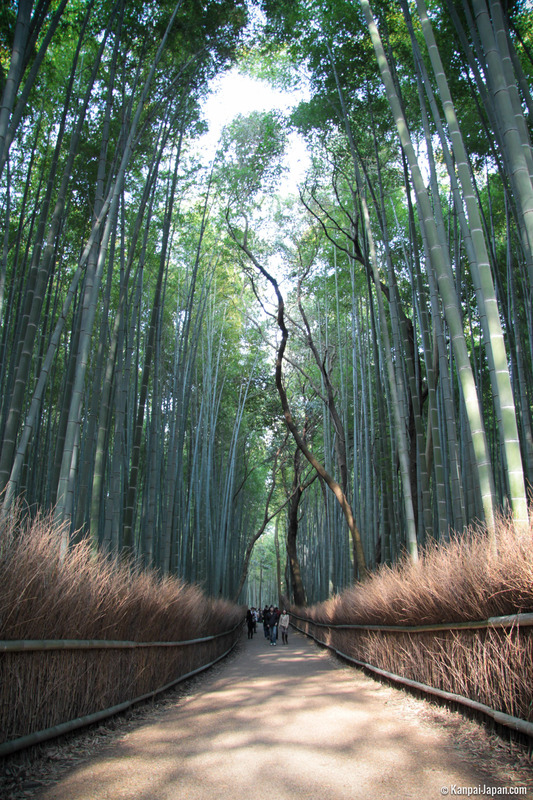 Its popularity actually reaches far beyond the frontiers of Japan, and it is often listed as one of the most beautiful or must-see-before-you-die places on earth. 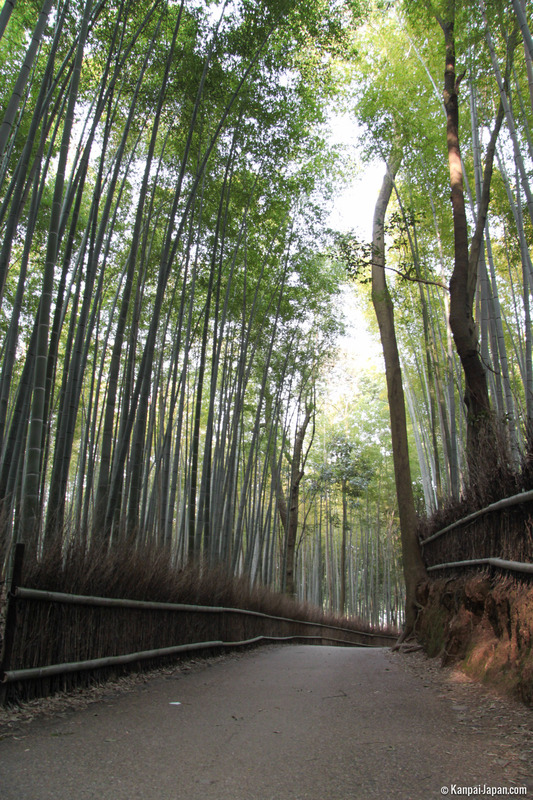 There is good cause for this: although it is not the only bamboo grove in the Kyoto area, it is probably the largest and walking through it is like escaping to another world. 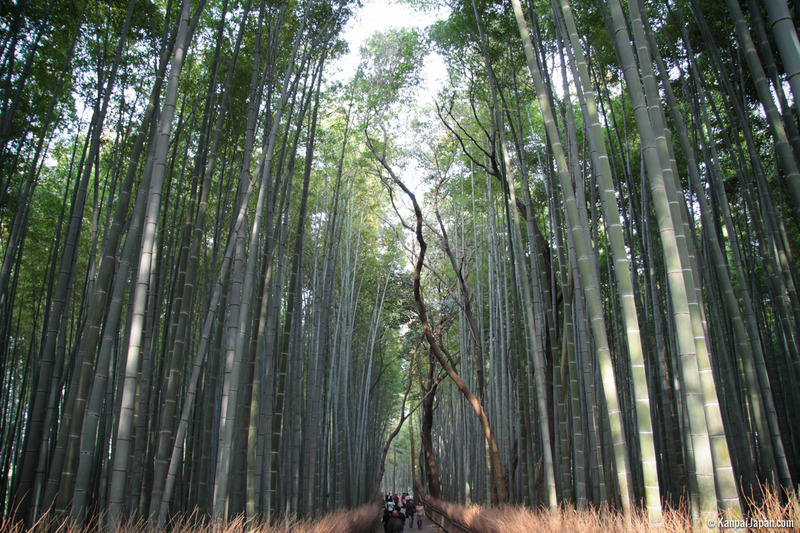 Crowds of tourists therefore flock to this wonderful site on a daily basis. 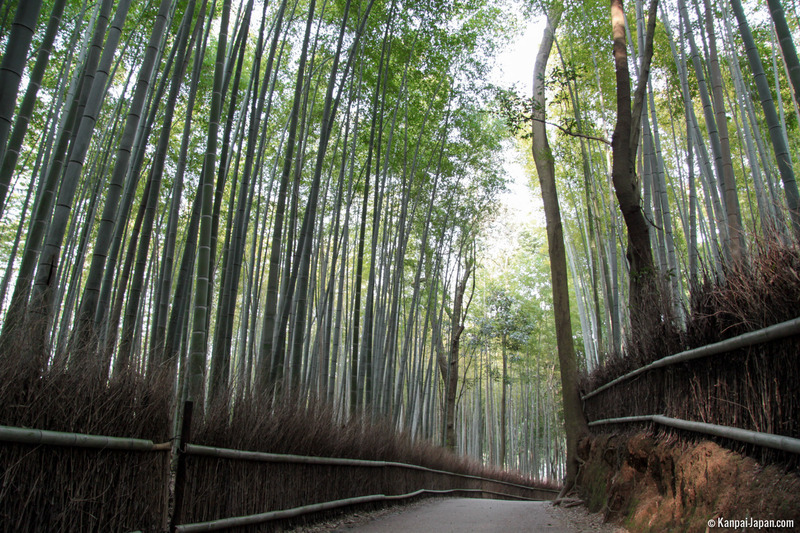 A single narrow path runs through the grove from east to west, covering a distance of about 500 meters, and taking photos of the site without anyone on them has become something of a challenge. 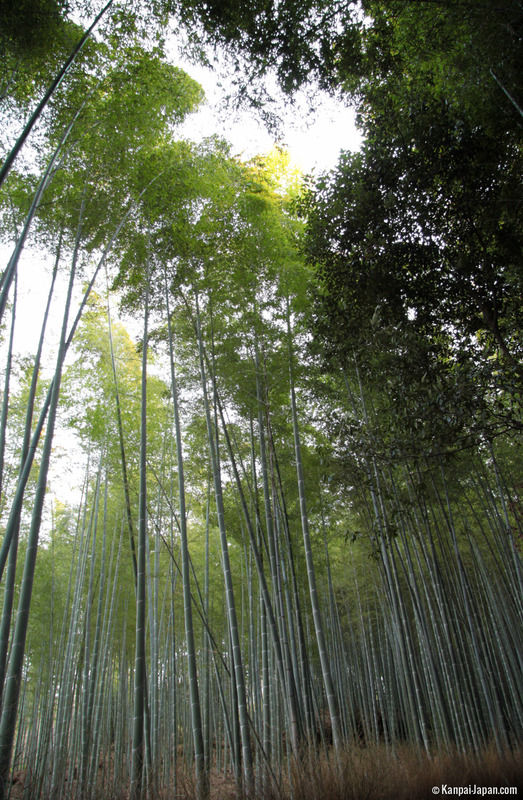 The hardest thing is to attune one's ear to the sound of the breeze gently breathing between the trees and the high treetops gently swaying in the light wind. 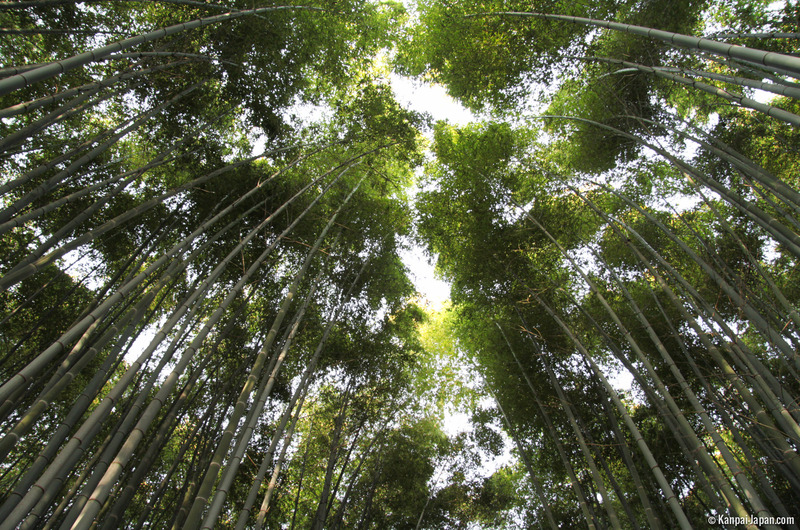 The sun shines through the very dense grove in the midst of immense, often thick-trunked trees. 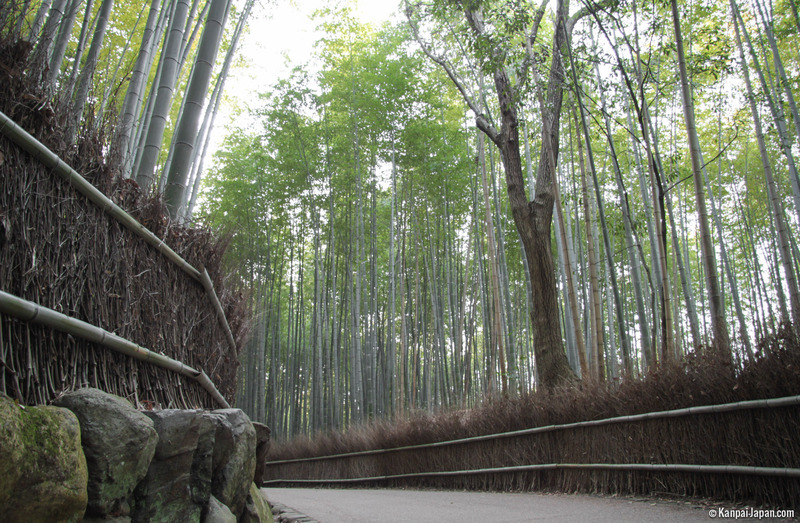 There is a unique atmosphere to this place to which no photo can do complete justice. 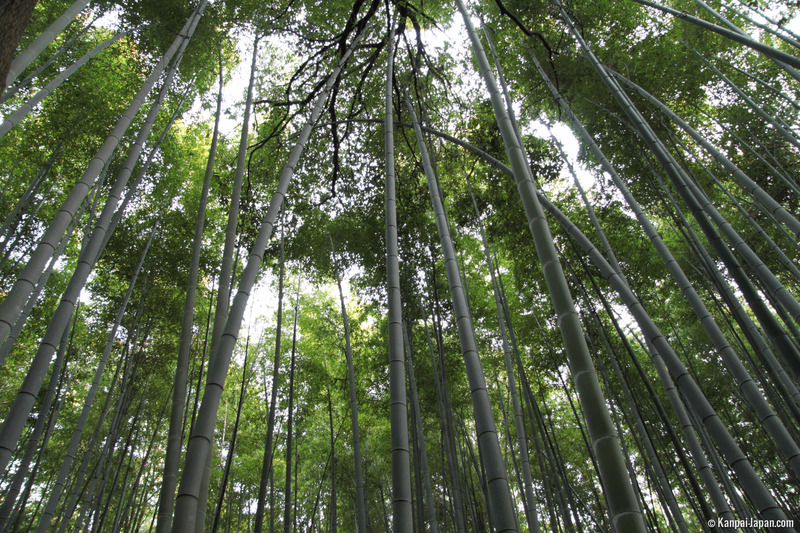 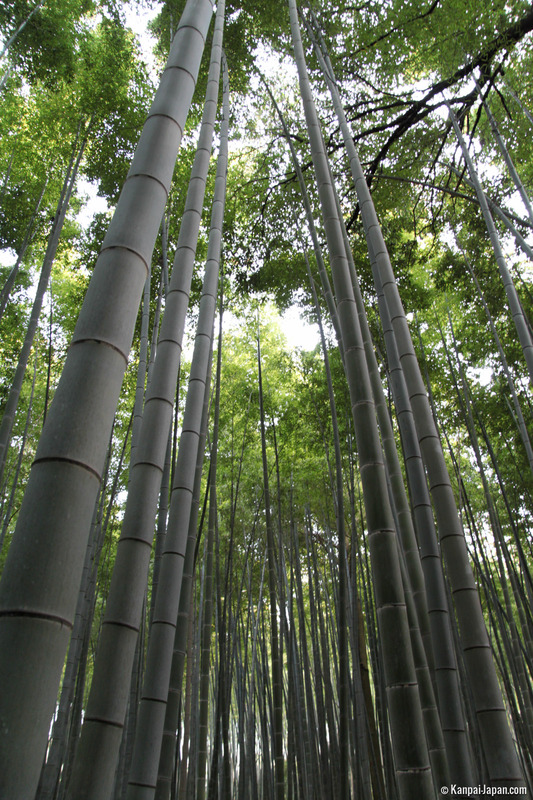 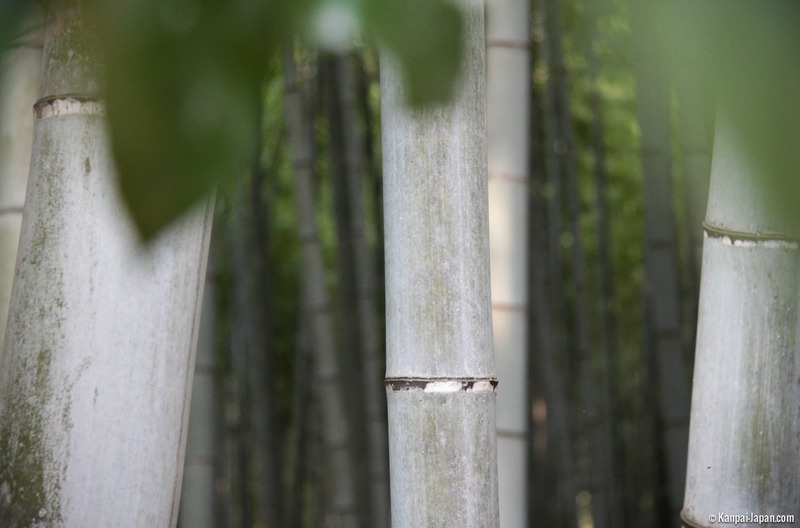 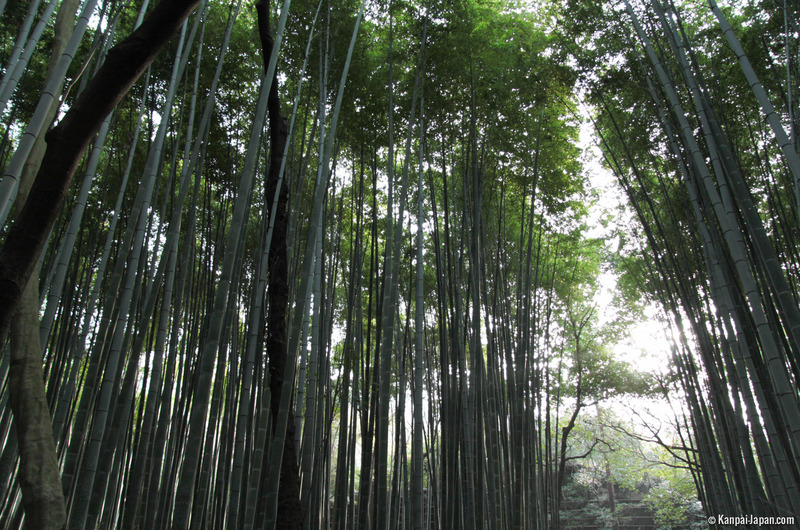 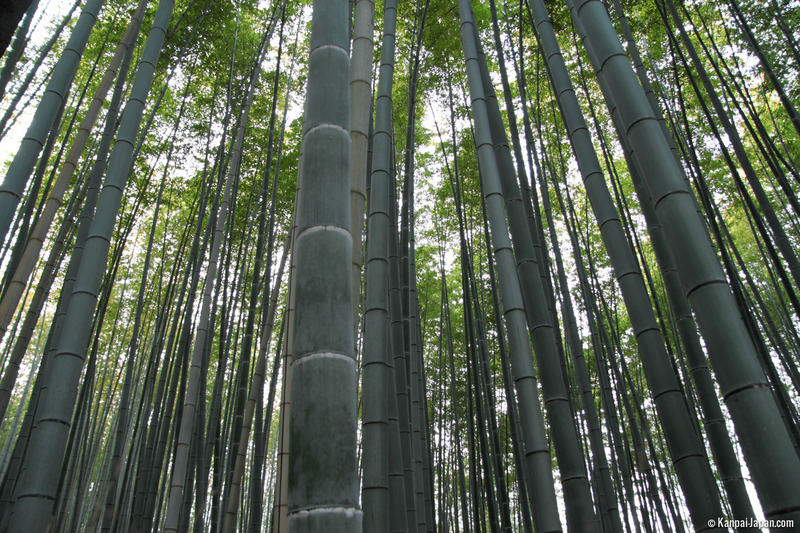 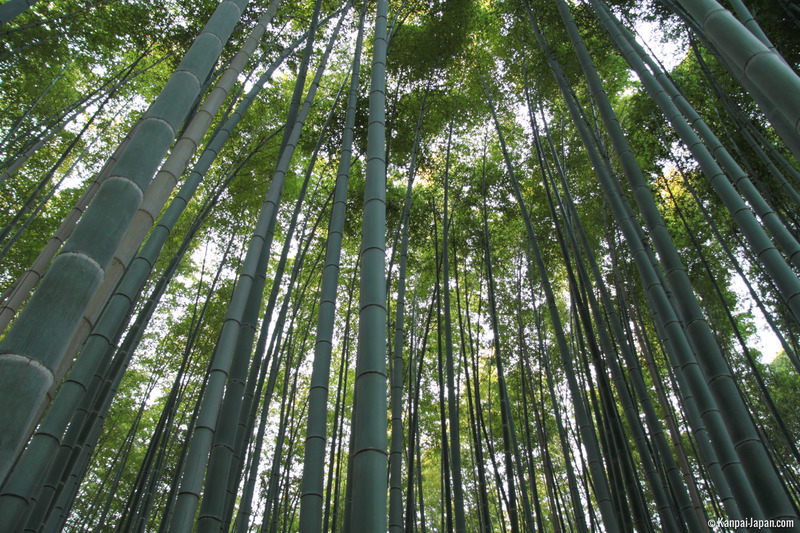 In Japan, bamboo trees are a symbol of strength believed to keep evil spirits at bay. 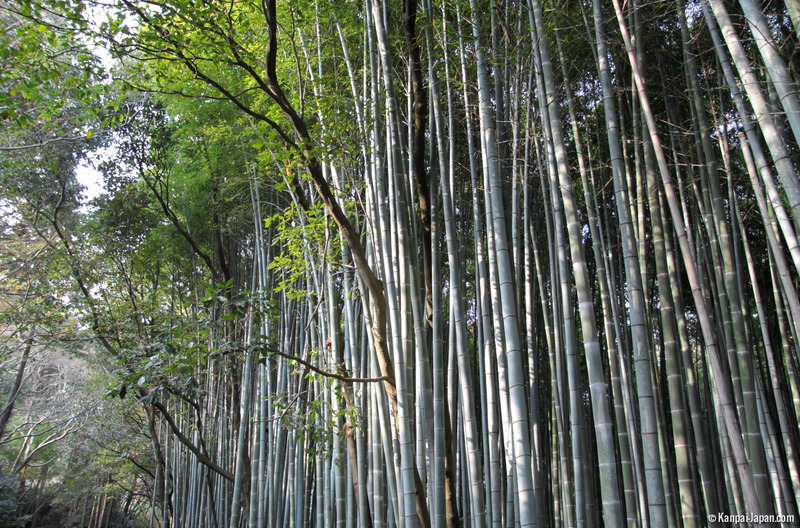 This probably explains why the entrance to Tenryu-ji is located at one end of the grove and the entrance to Okochi-Sanso Villa at the other end. 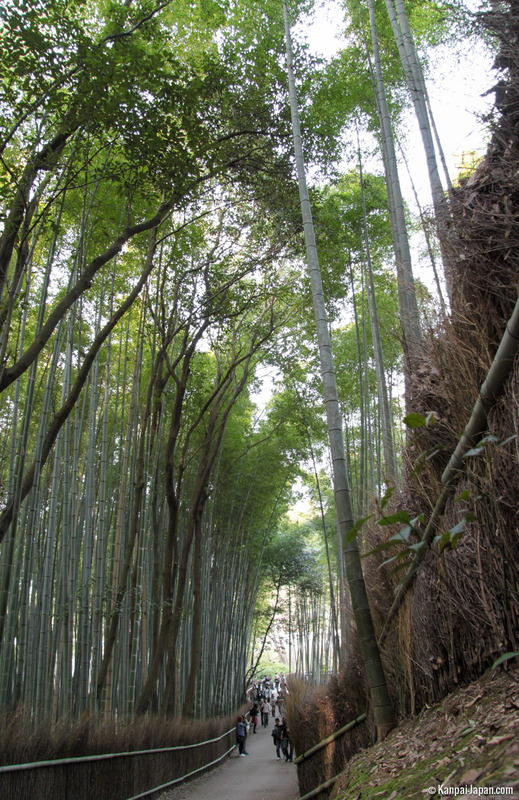 And when you are visiting the area around the bamboo grove, whether on foot, by bike or in a rickshaw, you will probably come across other equally magical landscapes.